The pelvic floor. The what, why, who, how and when? 1- What is the Pelvic Floor? 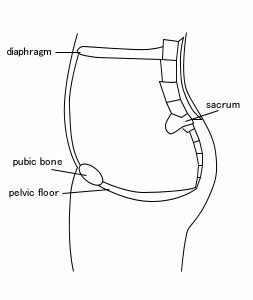 The pelvic floor is a sling that spans the bottom of the pelvis, much like a trampoline. It is comprised of muscle, ligaments, connective tissue and nerves. 2- Why are the Pelvic Floor muscles important? are having any symptoms of leaking urine, poor wind control, heaviness or dragging down below. These exercises can help. 4- How do I do them? Pelvic floor exercises are a bit tricky and can be difficult to learn to do right. ‘Imagine you are trying to stop yourself from passing urine and wind from your back passage’. Squeeze and draw in around the openings, then let them go. practice a few squeezes sitting on a firm chair. Try to do them as strongly as you can and remember to let go each time. do 10 short squeezes then 10 longer squeezes holding for 3 seconds. If this is easy try to increase the number that you do or how long you can hold for. in different positions such as lying, sitting, standing, walking, squatting or lunging. Pelvic floor exercises can be done anywhere. Once you are confident, you can do them while you wait in line to buy your groceries, waiting at the traffic light or include them in your workout. However, it will take time to build up the strength and before you may notice much change. 5- Where do I get help? If you are having any symptoms (such as leaking, dragging, or heaviness down below), or you are worried if you are doing the exercises incorrectly, you should see a pelvic floor physiotherapist. 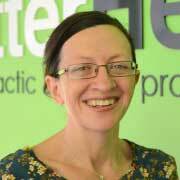 At Better Health our physiotherapist, Janette, has completed specialised training on the pelvic floor. She offer a vaginal examination or use an ultrasound to check how your pelvic floor is working and provide coaching to help you. Consider her a personal trainers for your pelvic floor! Call on 9518 0722 to make an appointment or to ask to speak to Janette if you would like to ask further questions. knee pain in runners Is it OK to pee just-in-case?? Tips to keep your bladder healthy!